If you haven’t been behind the wheel of the 2016 Toyota Avalon, you need to find out what you’ve been missing. Toyota has designed this handsome large sedan to be a true performer with terrific handling. Take a look at Gloucester Toyotadealer serving Newport News VA.
With lots of power at the ready, the Avalon transcends its size and behaves more like a smaller car. Handling is fun when you have a V-6 engine to command. Horsepower is rated at 265 while torque is rated at 248 lb.-ft. Drivers can tap the sport mode to sharpen the car’s responses. Learn about pricing. The 2016 Toyota Avalon has many hidden assets. The first is its independent suspension which ensures give over life’s bumps. A stabilizer bar ensures that this car holds its trajectory. To be sure, passengers will enjoy a comfortable ride. Toyota has also engineered special diffuser panels to reduce turbulence. Get pre-approved for a loan. One of the most fun things about test driving this car is to climb into the cabin and get to see and feel the quality. Acoustic glass keeps the road noise out. Leather upholstery adds to the classy atmosphere. Heated seats and a rear power sunshade help the programmable thermostat to regulate the temperature. Dash tech includes a rearview camera with a touch screen. The 2016 Toyota Avalon has a five-star safety rating and an affordable crash avoidance package. 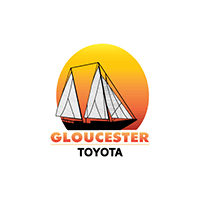 You can learn more about the forward collision warning, pedestrian detection, and automatic braking system when you visit Gloucester Toyota dealer serving Newport News VA.